You are invited to explore the various fitness options offered at the Marshfield Clinic Health System YMCA. Classes and activities have been designed specifically for the Active Older Adult. The impact has been lessened, while gently emphasizing and improving strength, cardio, endurance, balance and range of movement. There is preferred pricing and several payment options on most programs and services for YMCA members. 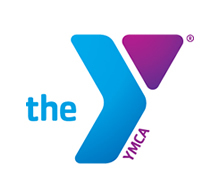 However all YMCA programs are open to non-members. Please join us for fitness, fun and fellowship. Winter 2 programs. Click here.